#1: For some reason that I will never understand, some insurance agents will sell you an auto insurance policy that has higher limits (coverage) for liability, and smaller limits for uninsured motorist coverage. This is crazy. A typical policy that we see carries $100/300 coverage for liability, and $15/30 coverage for uninsured motorist. By law, uninsured motorist coverage includes underinsured motorist coverage. This means that if you cause an accident, the people you hurt have up to $300,000 in coverage available to them (per accident) if their injuries warrant that amount of money, with a limit of $100,000 per person. But, if you are out driving with your friends and someone else causes an accident and you and your friends all get injured badly, then you are guaranteed to only have $15,000 per person, and $30,000 per accident available to you. If you have four friends in a car the car with you, then you we each are going to be stuck with $6000 if the other driver has no or minimal insurance. This happens way too often. And for some reason, it tends to happen when there’s been a tragic accident. It is not sensible to rely on others to obtain an adequate amount of insurance to protect you. This is ultimately your responsibility. Please look at your coverage and make sure that your uninsured motorist coverage matches your liability coverage. We just settled a motorcycle accident injury case that illustrates some very common problems with these types of cases. Here’s the facts: on October 9, 2013, our client, we’ll call him Mr. Tough Guy, was eastbound on Aston Avenue in Santa Rosa, going to work at a local market. The Defendant, we’ll call her Mrs. Bad Driver, was westbound on Aston. Mr. Tough Guy was riding his 2008 Suzuki motorcycle. Mrs. Bad Driver was driving her Prius and made a left turn in front of Mr. Tough Guy, to go south on Linwood Avenue. Tough Guy came off his bike and the whole side of his body, including his hip, was slammed into the rear passenger door of the Prius. His motorcycle hit the front passenger side tire and rim. Even though his body put a dent in defendant’s car, Tough Guy did not think he was hurt. Defendant told Tough Guy that she’d seen him, but thought she could make it through the intersection. She gave him a band-aid for his bleeding knee. Tough Guy left the scene in a tow truck. Neither driver called the police. This particular client was lucky because the other driver did not dispute fault for the accident. She admitted to her insurance company that she had made a left turn in front of Tough Guy. But she is the exception rather than the rule. Always, always call the police if you’ve been hit while riding your motorcycle or your bicycle. That way, the story is set in stone and won’t change over time. This particular client was unlucky because he was wrong: he was hurt. He initially thought that he wasn’t hurt, then he thought that he wasn’t hurt very badly and only sought chiropractic treatment. Then his chiropractor realized that she would not be able to fix him, so she sent him to an orthopedic surgeon, who eventually did hip surgery. In the end, Tough Guy needed two surgeries on his hip as a result of this accident. He is very fortunate we were able to settle his case very well, but again, this case proves the exception and not the rule. 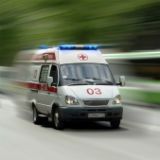 In the case of a motorcycle accident or a bicycle accident, always call the police, and always get checked out by a medical doctor, preferably at the emergency room right away. Then go to your chiropractor if that’s what you want to do. 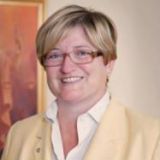 Julia Parranto has over 20 years experience helping clients who have been injured as the result of the negligence of others. If you have been injured as a result of a motorcycle accident, contact our Santa Rosa, California, personal injury lawyer by email or call our office directly at (707) 573-8868. "I am so very grateful that I was represented by Julia Parranto when I was in a car accident that changed my life in an instant. I received a much needed settlement check for more than I was expecting, and I am very happy that I came to the Law Offices of Julia J. Parranto." ~Rose F., Santa Rosa, CA. "I am so very grateful that I was represented by Julia Parranto when I was in a car accident that changed my life in an instant. Julia is very knowledgeable and highly experienced in the field of personal injury law..."
© 2019 Law Offices of Julia J. Parranto.